When you are preparing to implement Dynamics 365 for Retail, or as part of a broader implementation, the Retail components of Dynamics 365 for Finance and Operations, you are faced with the challenge of defining what will be the best deployment option for your Point Of Sale (POS) devices. There is a set of options, basically ranging from full cloud to local in-store and a combination of flavors in between. This blog focuses on explaining what those options are, how they behave when there is no internet connection and what other pros and cons are. Finally, we will look at what to consider when choosing one of the deployment options. But, before we look into the options, let’s first get you known with the basic definitions. Modern POS (or MPOS) is a Windows Universal Platform Application based POS that can be used on a Windows 10 device. Neither of the POS clients perform business functions or data processing. All business functions are provided by the Retail Server component. There are specific system requirements that need your attention – for the latest system requirements, please refer to this article. Retail headquarters for Dynamics 365 for Retail can be used to manage a chain of stores as one enterprise. It controls daily operations and tracks sales information for every store in the chain. 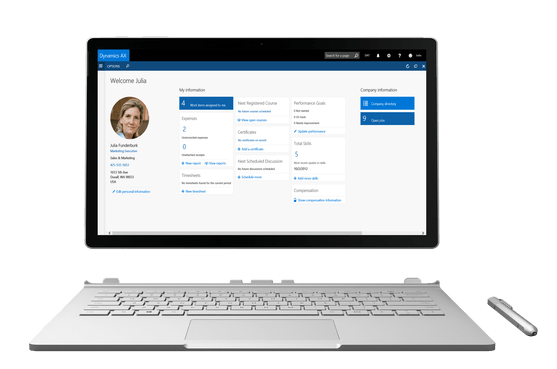 Retail Scheduler coordinates communication between Dynamics 365 for Retail and the stores. Retail headquarters can be used with any POS or online store system that can receive and transmit the required data. Retail Server provides an OData web API that lets both employees and customers access information and perform tasks by using both Retail POS clients and the online store. Hardware Station provides services that enable Retail POS clients, and peripherals such as printers, cash drawers, and payment devices to communicate with Retail Server. Retail Store Scale Unit is a set of features that supports selling products in a store that does not have constant Internet connectivity to a back office or headquarters (HQ). The Store Scale Unit is designed specifically for in-store operation, and enables cross terminal transactions and shift operations even when you are not connected to the back office. Commerce runtime (or CRT) serves as the core engine that supports the business logic across the various channels. Commerce runtime contains a data access layer, services layer, workflow layer, and an application programming interface (API) layer. The Channel Database holds Retail data for one or more retail channels, such as online stores or brick-and-mortar stores. In the final chapters we will take a look at the connectivity dependencies for each of the deployment options and talk about the considerations to make when choosing the best suitable deployment option. The cloud only deployment option is the only option with zero local footprint and zero deployment. This options renders the Retail Server and Channel Database all hosted in Azure. The stores are operating a Cloud POS or Modern POS but rely on the connectivity for all the operations. Hardware or peripheral devices cannot be supported unless they are keyboard wedge, meaning you are able to support a keyboard wedge style barcode scanner. Whilst this is the deployment option with the least deployment effort, this option requires continuous internet connectivity for all operations. However, this deployment option can well suit you if you have no issue with that reliance and it’s limitations on hardware peripherals. The cloud only with hardware station deployment option is the same as the cloud only deployment option, meaning the Retail Server and Channel Database are both also hosted in Azure. The only difference is there is an additional in-store (shared) local hardware station, that can easily be shared across multiple POS devices. This hardware station is used to drive peripheral devices such as printers, cash drawers and payment terminals. In this deployment option, you are not using the offline capabilities of hardware station. Therefore, this deployment option is also fully reliant on internet connectivity to the headquarters for all the POS operations. This deployment option can well suit you if you have no issue with that reliance but you are looking to support your hardware peripherals such as printers, cash drawers and payment terminals. In the cloud with hardware station deployment option the Retail Server and Channel Database are both hosted in Azure and there is a local footprint by having the (shared) hardware station. The difference is that the in-store (shared) local hardware station is not only used to drive peripheral devices such as printers, cash drawers and payment terminals, but also configured to support offline capabilities. The offline capabilities are available due to having an offline database available on the local hardware station. These offline capabilities allow you to be much more independent of continuous connectivity for the store operations. Whenever the Retail Server in Azure is unavailable due to a connection loss for example, the MPOS goes into offline mode and can continue with transactions. When connectivity is restored, which is checked periodically in configurable intervals, the MPOS goes into online mode again and your synchronization jobs will bring you back in sync with headquarters. Enabling the offline capabilities requires more deployment on the local hardware station, including a channel database running locally on Microsoft SQL Server 2014 Express, and setting up the offline data synchronization. Do note that this deployment option does not allow you to run CPOS in offline mode, as the deployment option does not include the Cloud POS Server. This deployment option is the more traditional local deployed POS topology. All services are running in-store on locally deployed hardware. This means that there is a Retail Server and Channel Database locally and we are running either the MPOS with offline capabilities and/or Cloud POS Server with Cloud POS. Store Scale Unit can be set up in a one-box deployment topology on a single computer (recommended) or in a multi-box topology on different computers. The local hardware station will give the ability to integrate peripheral devices such as printers, cash drawers and payment terminals and runs the local channel database that periodically syncs to and from the headquarters. By automatically connecting to the back office, when you do have Internet connectivity, your store can process credit card transactions, issue gift cards, and sync data with HQ seamlessly. Whilst this is the deployment option with the most locally deployed infrastructure, this is the only deployment option that can run independent from cloud connectivity in every situation. This is however, with the exception of the real-time service calls. In Store Scale Unit, users cannot perform any real time operations such as issuing gift cards, looking up products, or performing credit card transactions, unless there is Internet connectivity to HQ or a payment provider. If the majority of your transactions involve real time transactions, then your Store Scale Unit will always need Internet connectivity to enable the connection to HQ or payment provider. To learn more about real-time service calls, see Real-time service calls always require internet connectivity. Before considering the use of a Store Scale Unit, take a moment determine whether this option is the right fit for your store. Store Scale Unit is a deployment choice intended for retailers with store locations that have slow or intermittent Internet connectivity, who need the flexibility of the Store Scale Unit deployed on premise in each store. If you have a stable Internet connection you should consider operating your store as cloud only, without setting up a Store Scale Unit. Below table depicts the state of the POS deployment in every connectivity situation. POS is operable, but only local. Real-time calls unavailable. Do I use hardware peripherals? – When working with device peripherals such as printers, cash drawers and payment terminals (any other then keyboard wedge) you require Hardware Station. Hardware Station however, does not have to come with the offline capabilities since it’s an option, and can be installed on a POS computer (please refer to the system requirements) and shared across multiple POS devices. What is my internet connectivity dependency? – The cloud only and cloud only with hardware station deployment options (without offline capabilities) both give you an inoperable POS when internet connectivity drops. This could well be a sufficient enough option for you, but please do understand your reliance on the connectivity. There are good options to ensure your internet connectivity, for example by setting up a redundant connection either by dual-line or having the availability of a backup mobile access point. Hardware Station with offline capabilities does allow you to continue store operations on POS when you cannot rely on internet connectivity, but the operations are limited to local operations. To sync form and to headquarters, you will need internet connectivity. Thus, when internet connectivity is out longer, this deployment option will limit you to close your shift and end your day by processing the statement. Does the majority of my transactions involve real-time service calls? – Store operations that use real-time service calls still require connectivity to the headquarters to be executed. Even when using Store Scale Unit, users cannot perform any real time operations such as issuing gift cards, looking up products, or performing credit card transactions, unless there is Internet connectivity to HQ or a payment provider. If the majority of your transactions involve real time transactions, then your Store Scale Unit will always need Internet connectivity to enable the connection to Headquarters or your payment provider(s). Do I want to use CPOS, MPOS or both? – Both hardware station with offline capabilities and Store Scale Unit will support using MPOS and CPOS within the store. However, in the hardware station with offline capabilities deployment option, CPOS will still remain internet connectivity dependent because it requires Cloud POS Server. When do I choose Cloud versus Store Scale Unit? – Store Scale Unit is a deployment choice intended for retailers with store locations that have slow or intermittent Internet connectivity, who need the flexibility of the Store Scale Unit deployed on premise in each store. If you have a stable Internet connection you should consider operating your store as cloud only, without setting up a Store Scale Unit. If you are only deploying MPOS in store, the use of the offline channel database of hardware station maybe well sufficient and eliminate the requirement for the Store Scale unit. You only have one opportunity to set up a store as cloud only or as Store Scale Unit enabled. Moving from a Store Scale Unit-enabled store to a cloud only store is not supported by default, and will require manual configuration.